OPEN HOUSE CANCELLED. OFFERED ACCEPTED! Don't miss this Downtown Rockford Gem! 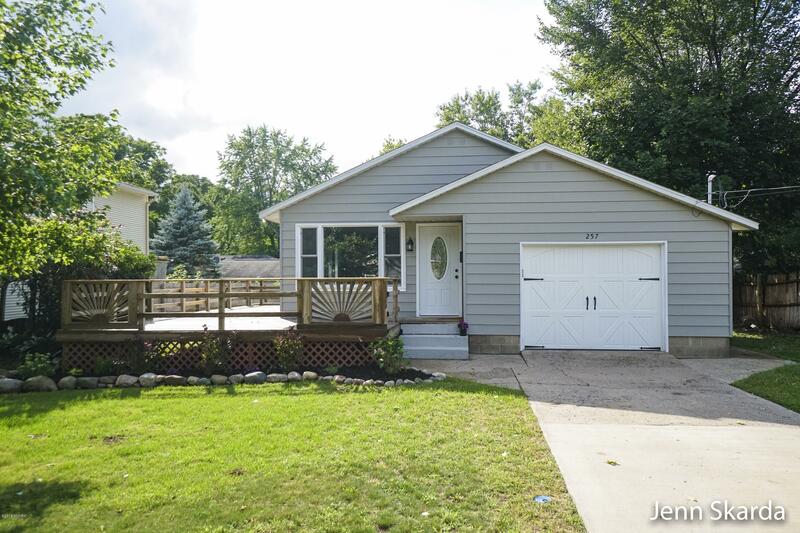 Walking distance to shopping, Rockford Schools, parks & more! This home had a complete makeover! New kitchen cabinets w/ quartz counters, new SS appliances, new flooring & paint in & out, new windows, new lighting & fixtures, new vanity in both full baths, new shower/tub upstairs, new garage door with opener & keypad, new doors & trim, newer electrical & plumbing, newer furnace & roof. 2 decks (one of them is new). Home has central air. Garage has fresh epoxy on floor & paint on walls as well as a/c too! Partially fenced in yard with small shed. Newer landscaping in front. Home has full $7k generator that auto turns on when the power goes out. Owner is licensed Realtor. Move in ready & take possession at close!